The Revd Edwards Comerford Hawkins (1827-1906), was a journalists’ parson and a writer with a strong Irish background, linking him to the Comerford families of Co Wexford and Cork city. His fame as a Victorian writer and journalist has vanished in the century since his death, but his literary reputation continues vicariously through his more famous son and nephew. 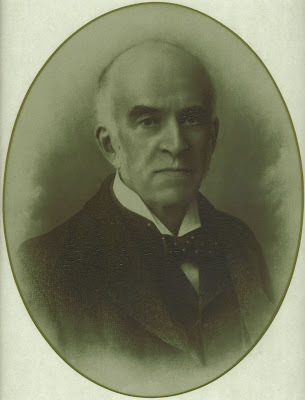 Edwards Comerford Hawkins, a Hertfordshire doctor’s only son, was born on 15 May 1827 (see 14: Comerford of Wexford and Cork and Comerford-Casey of Cork). Dr Frederick Hawkins of Hitchin, his sister Anne, and their cousin Susanna Hawkins all married into the Casey family of Cork, their spouses being two of the sons and a daughter of Edwards Casey of Cahirgal and Elmgrove Grove, Cork, and his wife Jane Comerford. 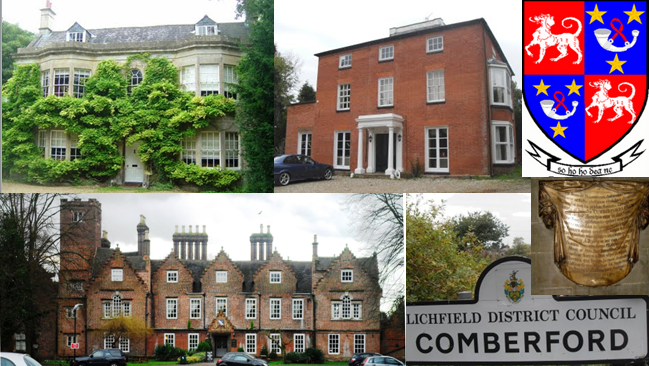 The Comerford-Casey family fortune came from the soap industry in Liverpool, but medicine and the law became the main professions of the family members, who moved with ease between their homes in Cork, Hitchin and Liverpool. There were so many look-alike Comerford-Casey and Hawkins cousins that they often played at passing themselves off as each other. It came as no surprise when Edwards Comerford Hawkins entered the ministry of the Church of England – four of his first cousins were clergymen too: the Revd Henry Ernest Casey became Vicar of Berrow; the Revd George Edwards Comerford-Casey was a teacher at Nottingham High School before moving to Nice, where he became a published author; the Revd William Henry Casey was a curate in Liverpool; and the Revd Henry Hawkins was a Victorian pioneer in mental health care. In 1861, Edwards Comerford Hawkins became the Headmaster of Saint John’s Foundation School. 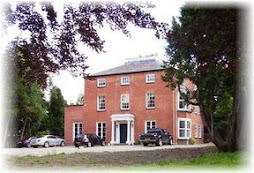 The school was founded in 1851 for the sons of poor clergy, but by 1872, when Saint John’s moved to Leatherhead in Surrey, Hawkins had transformed it into an English public school. By now Hawkins was also a well-known journalist and writer, contributing to Smith’s Bible Dictionary and publishing Spirit and Form in 1881. An invitation in 1883 from the Dean of Westminster Abbey, the Very Revd George Granville Bradley, to become Vicar of Saint Bride’s, the journalists’ church in Fleet Street, had obvious attractions. In the 17th century, the growing printing industry attracted men of letters such as Dryden, John Evelyn and Milton to the parish. Samuel Pepys and his eight brothers and sisters were all baptised in Saint Bride’s. Among the famous people buried in Saint Bride’s is Samuel Richardson, author of Pamela, the longest novel in the English language. The present Saint Bride’s was designed by Sir Christopher Wren. Building work began in 1673, and the spire, completed in 1703, is 234 feet and the highest built by Wren. The steeple is the model for the now traditional wedding cake, first made by a baker on Ludgate Hill in the 18th century. Soon after arriving as Vicar of Saint Bride’s, Hawkins published his own history of Sir Christopher Wren’s church. His full name appears on the list of vicars inside the porch of Saint Bride’s. The youngest son of the Revd Edwards Comerford Hawkins, Anthony Hope Hawkins, went to Saint John’s while his father was headmaster, before going on to Marlborough and Balliol, Oxford. For a while, Anthony practised at the bar and shared chambers with a future Prime Minister, Herbert Henry Asquith. Despite a brief flirtation with politics – he failed as a Liberal candidate in South Buckinghamshire – young Hawkins found his real interest was in journalism and writing. He began contributing short stories and society sketches to the Westminster Gazette, and as he balanced wig and pen in Fleet Street Anthony lived with his widowed father at Saint Bride’s Vicarage. From childhood, Anthony was fascinated with look-alikes and doubles, and later he followed the Titchborne case as his cousin Sir Henry Hawkins exposed the claimant to the title as a fraudster. On the afternoon of 28 November 1893, after winning a case in Westminster County Court, Anthony was walking back to the Temple, playing in his mind with the word “suburb” and the Latin phrase rus rur (countryside), entertaining thoughts of an unknown, unnamed foreign kingdom. As he walked on, two men passed him by separately, one after the other, both sharing uncannily similar features. He wondered what might happen had they the same name, swapped places and walked off, each in the other’s direction, passing himself off as his look-alike. 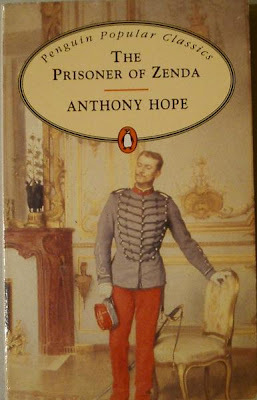 Back at his father’s vicarage, he began to create Ruritania, and within a month, using the name Anthony Hope, he had finished a new novel about two Rudolfs, The Prisoner of Zenda: being the history of three months in the life of an English Gentleman. When it was published just over three months later in April 1894, The Prisoner of Zenda was an instant success. Hawkins made up his mind – he gave up the wig for the pen, and more Ruritanian novels followed, including The Heart of Princess Osra (1896), Rupert of Henzau (1898), The King’s Mirror (1899) and Quisanté (1900). In 1903, Anthony Hope Hawkins married Elizabeth Somerville Sheldon, an American woman who was 22 years his junior, and they moved into No 41 Bedford Square in Bloomsbury. A year later, his father, the Revd Edwards Comerford Hawkins, retired as the Vicar of Saint Bride’s, Fleet Street. By now, Edwards Comerford Hawkins was living – perhaps even basking – in the shadow of his son’s glory and he was largely forgotten as an author and journalist. 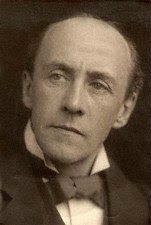 Edwards died at the age of 78 on 12 February 1906. 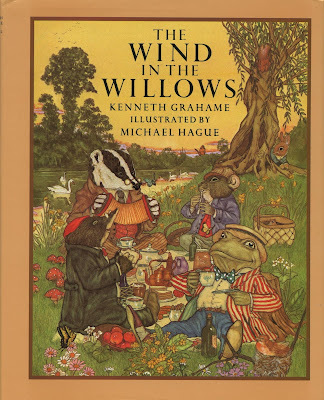 Fame and acclaim came two years later to his nephew, Anthony’s first cousin, Kenneth Grahame, with the publication of The Wind in the Willows in 1908. For his war-time propaganda work, Sir Anthony Hope Hawkins was knighted in 1918. His writing career was waning, but he lived comfortably on the film rights and royalties from new editions of The Prisoner of Zenda until his death on 8 July 1933. The first film versions of The Prisoner of Zenda were produced in 1913, 1915 and 1922. But the finest screen version was made in Hollywood in 1937, four years after the author’s death, and starred Ronald Colman, David Niven and Douglas Fairbanks. 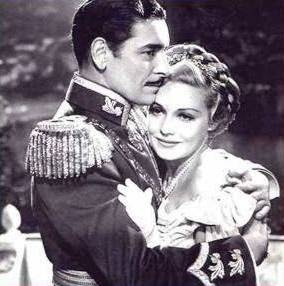 The movie’s success may have been due less to the literary merits of the original novel and more to good timing: it hit the cinemas only a year after the British abdication crisis, which also involved two look-alikes sitting on the throne within months of each other, and romantic stories about a woman who had given up one man for another only to see one of them lose his throne for love. At the same time, Continental Europe was beset by intrigues involving dark Teutonic forces. The Prisoner of Zenda and Ruritania continue to conjure up images of a romantic middle Europe and a mythical time when history wore a rose and politics still danced to the waltz. But perhaps it ought not to be forgotten that the author received the inspiration and motivation to write both these books from his father, the priest-journalist, the Revd Edwards Comerford Hawkins, and that through the Comerford and Casey families his roots were firmly planted in the soil of Ireland. © Patrick Comerford 2009, 2011, 2012. Last updated 19 September 2009; 7 June 2011; 4 July 2011; 20 August 2012. Very interesting Biography of my Grandfather Anthony Hope and my Great Grandfather. I was not really aware of the Comerford connection until noe so very good to see it.